Categories: 1 channel, 3,0 kV, 600 VAC/DC, Active, Slim (6 mm), Isolators, No, Isolation Transmitters. 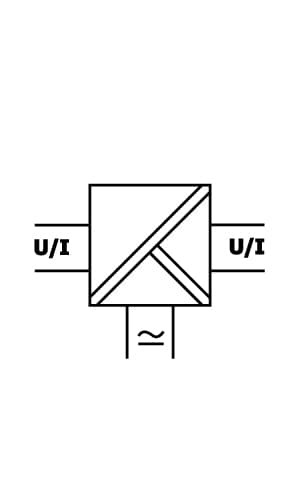 The Isolation Amplifier IsoPAQ-641 is used for isolation and conversion of 0/4 … 20 mA and 0/2 … 10 V standard signals. 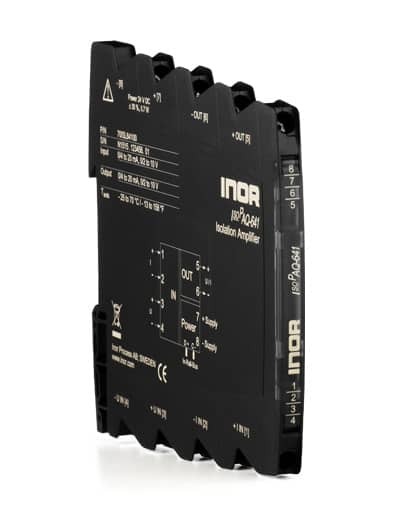 The input and output range of IsoPAQ-641 can be easily set by using DIP switch. Due to the calibrated range selection no further adjustment is necessary. Also the cut-off frequency can be adapted to the measurement task by using the DIP Switch.